Ruth A Casie, welcome to Romance Lives Forever. I’m Kayelle Allen, author and owner of this blog. Happy to have you here! Before we talk about your office, please tell us about your latest book. Knight of Runes was the first book I published in 2011. I’m fortunate. I have two writing spaces. With all my children on their own, I took over my younger daughter’s room and made it my executive office. It has everything I want except I feel a bit isolated. Last year, I put a library table in the living room and set up my laptop. It’s easier to get to the kitchen. Anything special about your space? I get a HUGE cup of tea, put on my writing playlist, and start up the fireplace. I’m in heaven. What do you love most about that area? I love my office. I love the red wall paper, the Berber carpet, the bookcases. I love everything about that room. I’ve written some of my best stories there. I also love my space in the living room. The fireplace most of all. What would like to change about your home office? I don’t think I would change much in my office, although I would like to put more bookcases in and organize the room more. I would make my office look more like a library. I would raise the ceiling and put bookcases up the wall with rolling ladders to get to the top. Verbalize by Damon Suede was the last book about writing that I read. What do you like to read for relaxation? I like to read adventure and mystery books in addition to romance. I have a monthly newsletter that lets my subscribers know what I doing, writing and where I will be. I also highlight other authors whenever I can. Hi – I’m Ruth A Casie and I write historical and contemporary romance. You might be wondering what I’m about. Sit back and let me tell you. Ruth A Casie, welcome to Romance Lives Forever. I’m Kayelle Allen, author and owner of this blog. Happy to have you here! Please tell us about your book. It’s #FreeBook Friday on RLFblog! Join us for a collection of free reads and downloads. All genres and heat levels. This week’s featured book is Vortex by Kimberly Packard. Bookmark this site so you don’t miss a thing. Teacher Darcy Ferris loves travel almost as much as she loves her Toronto neighborhood. But no matter how far she roams, she always returns to the genteelly shabby Victorian mansion where she grew up, the last place her father lived. Darcy’s world is turned upside-down when the Victorian is slated for demolition. Since architect Nick Cummings’ mother’s death, his father has retreated from his real estate developing business, and from life. In a desperate attempt to interest his father in living again, Nick buys a beat-up Victorian mansion and draws up plans to replace it with a Victorian-inspired condo. But he doesn’t expect such opposition from his new tenant, Darcy Ferris. Nor does he expect to fall in love with her. Nick and Darcy must come to terms with the past before they can forge a future together. And they’ll need to take the biggest chance of all – on love. for my medieval ghost story when I saw a picture of Caerlaverock Castle. Maxwell Ghost and The Highlander’s English Woman. hill fort that was used until 950. Maxwell by Alexander II of Scotland. Caerlaverock Castle ever since, but not without some intrigue and adventure. which resulted in sieges, destruction and rebuilding. foundations and part of a wooden enclosure around it is all that remains. hundred feet south of the abandoned structure in 1260.
first occupant was Herbert Maxwell, nephew of Sir John Maxwell. been destroyed and rebuilt several times, but retained its triangular plan. Eustace dismantled the fortress, a sacrifice rewarded by Robert the Bruce. by Robert II in the mid-15th century. were demolished and the castle was never repaired or reoccupied. home of the Maxwell family. 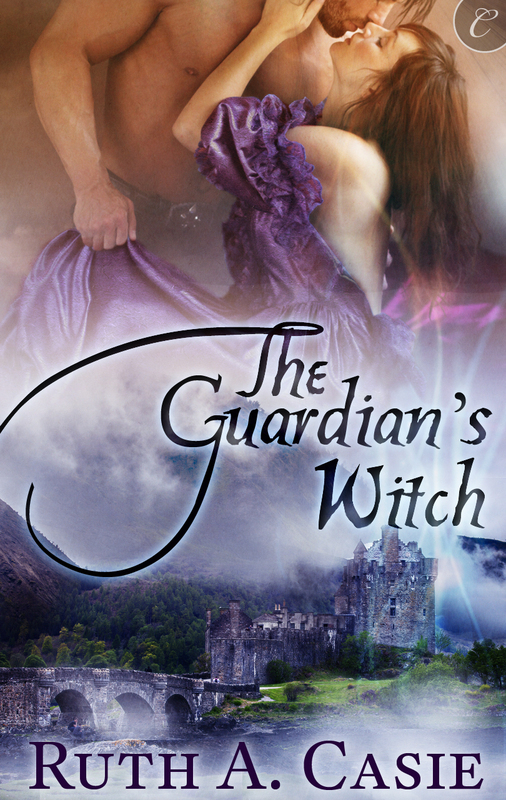 Today’s featured book is The Guardian’s Witch by Ruth A.
and losing the man she loves.